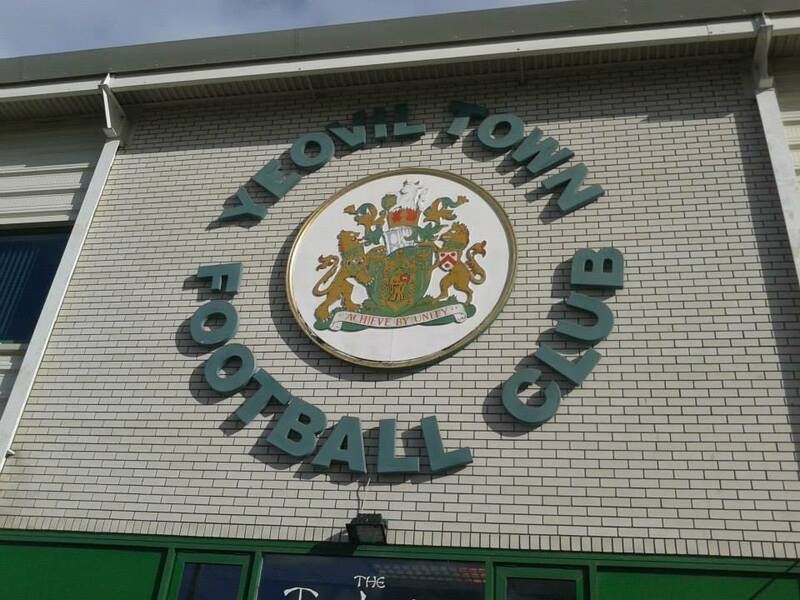 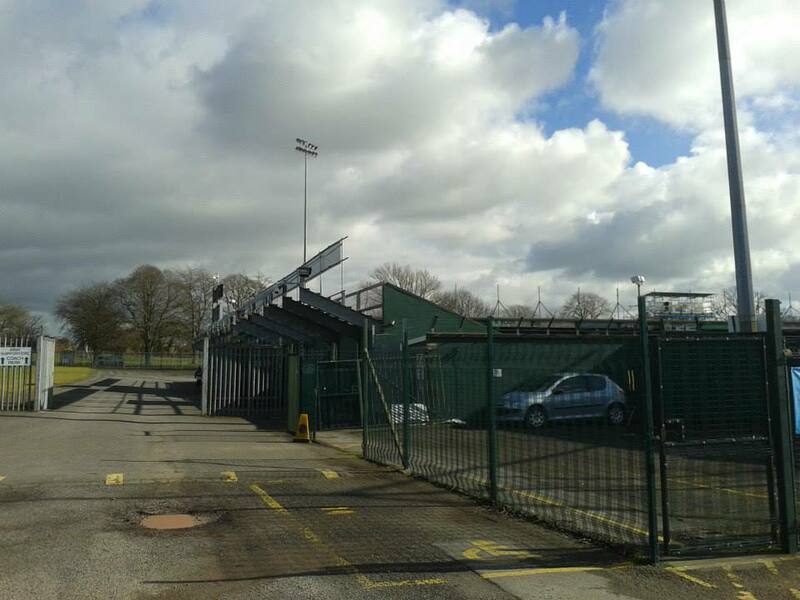 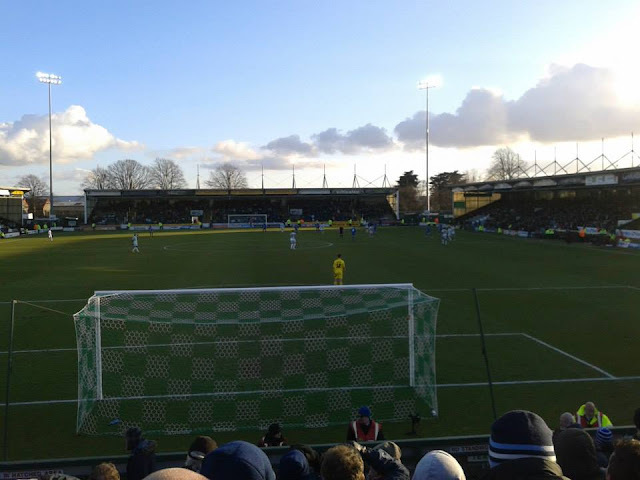 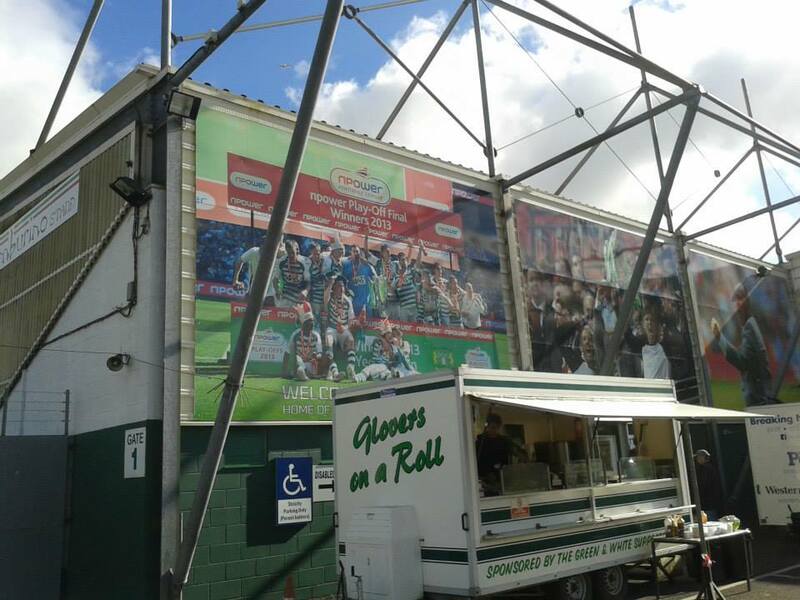 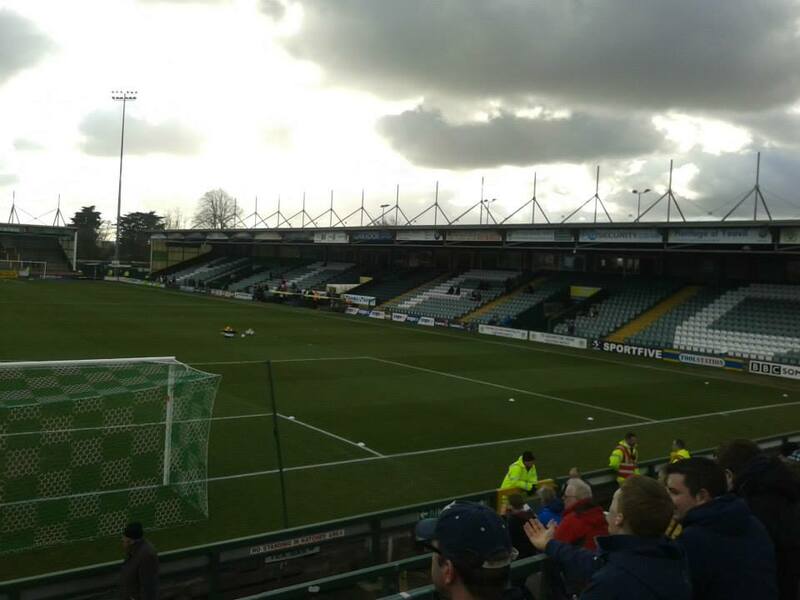 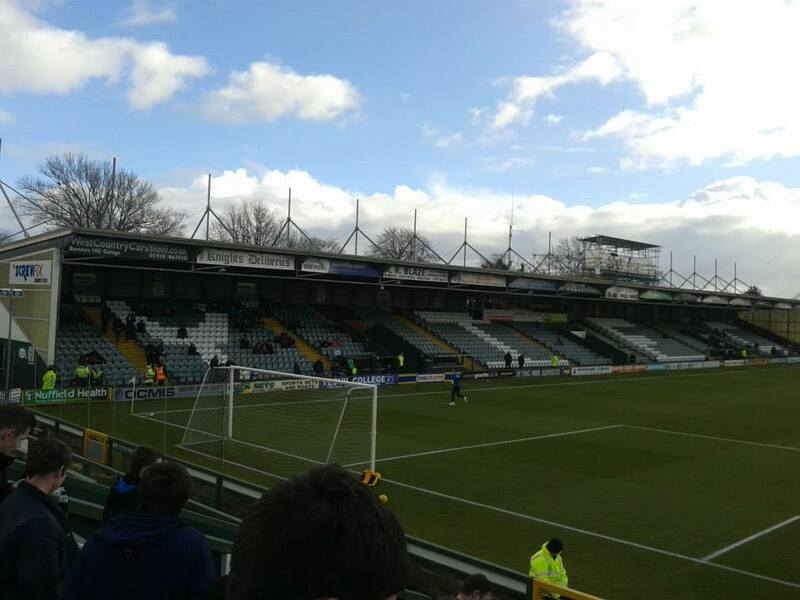 Last match I went to see: Yeovil Town 2-2 Gillingham, Saturday 21st February 2015, League One. 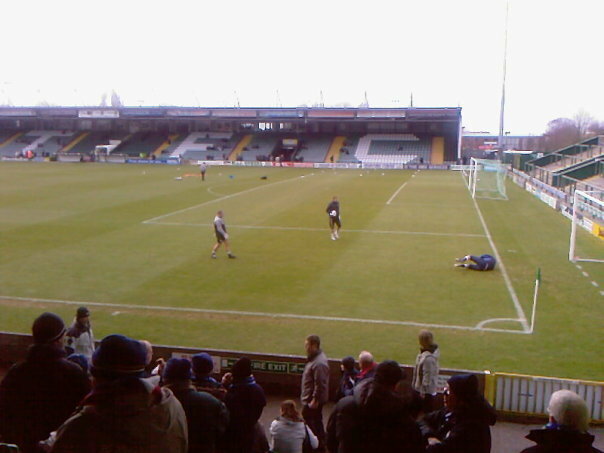 I have been to Huish Park on a couple of occasions now, first time with Gillingham was in the 2009/10 season when we drew 0-0 there, and in the 2014/15 season, back in February this year as I type. (2015) Last time I went there, luckily got a lift from a mate as a mate of a mine told me there was a lift going, so thought I'd decide to get a lift and plus at that point trains were quite expensive and I heard the train station is nowhere near the ground anyway so thought I'd take the safe option and get a lift. 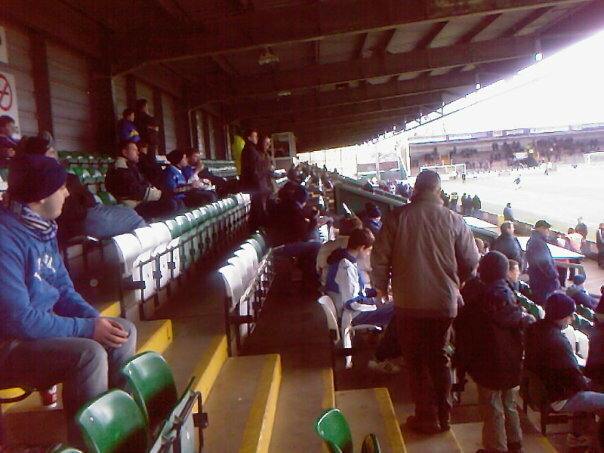 From what I remember, it was quite a cold day as it usually would be in February, was a bit annoying that day as I heard a couple of days before, Gillingham Town were playing that day at midday, so was going to that game but found out whilst on the way it got called off, so had a spare couple of hours to kill which was annoying as arrived into Yeovil by at least half 11, midday. 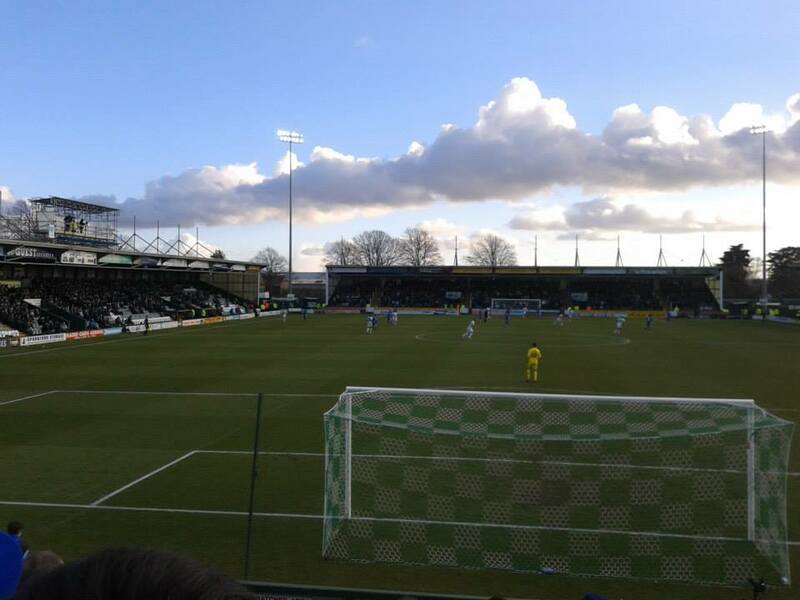 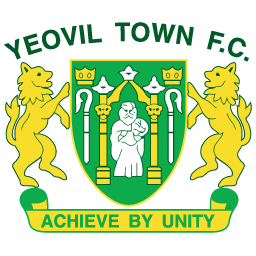 In the end, grabbed a Maccy D's and listened to a game on the radio, can't remember what game it was now, then eventually as time passed away, headed off to Huish Park. Huish Park as a ground isn't probably the greatest of grounds, but I'm glad we took a fair few as I hadn't been in the away terrace at Huish Park before, but it's not a bad little terrace to stand in.